After several years of anticipation, the gigantic Dekalb Market Hall has finally opened in Downtown Brooklyn. 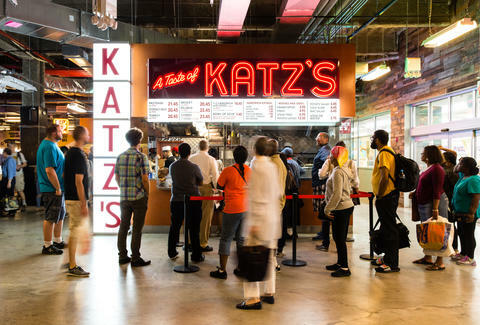 The 60,000 square foot food hall, which is located inside the City Point complex (also home to the Alamo Drafthouse, Target, and soon, a Trader Joe’s), features over 40 local vendors -- most notably, the first non-OG location of Katz’s -- and there’s plenty to seek out (and skip over). These are the things you absolutely can’t miss. 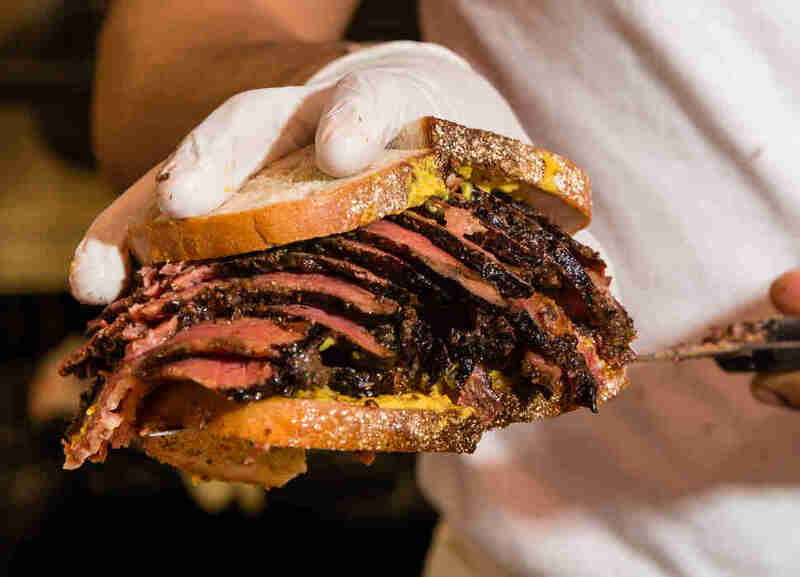 Brooklynites no longer have to travel to the Lower East Side for a taste of some of the city’s best pastrami. While the Katz’s offshoot lacks a lot of the original's appeal (namely, the don’t-lose-it-or-you’ll-die tickets and the rush of lining up and desperately vying for the attention of a carver behind the counter) the good news is, the pastrami sandwich is just as great on the other side of the river. 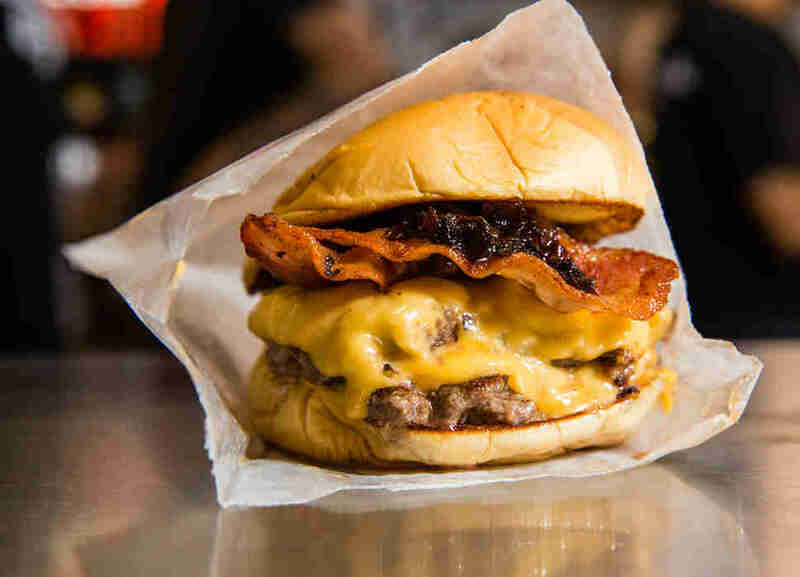 Andrew Zurica's ever-popular smashed burgers -- a favorite at Midtown’s Urbanspace Vanderbilt food hall -- are available as a singles, doubles, or triples on a buttery, grilled potato rolls alongside hot dogs and frozen desserts. Zurica also has a second stand in the hall, Andrew’s Classic Brooklyn Bagels by Hard Times Sundaes, where -- surprise! -- he’s doing bagels. 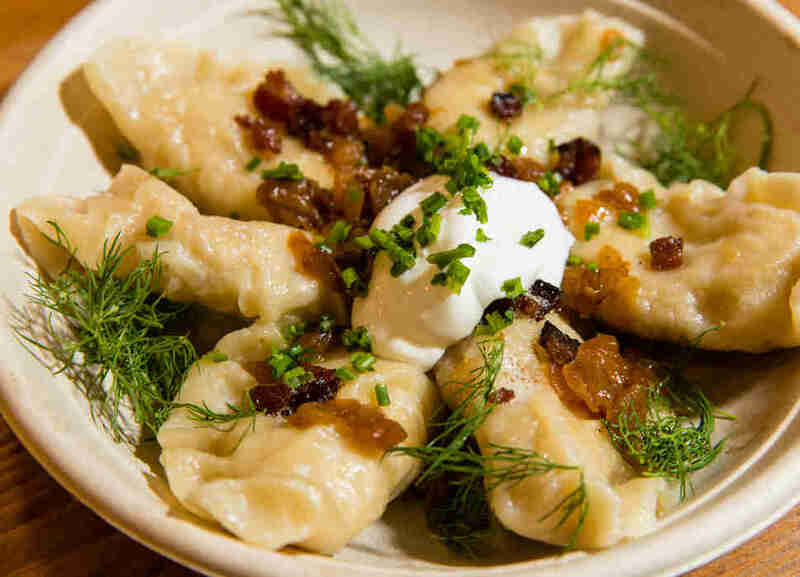 One of the few stands exclusive to the hall, Pierogi Boys has a simple conceit: traditional polish dumplings -- from two Polish natives -- stuffed with things like farmer's cheese and potato (covered in bacon, caramelized onions, and sour cream) and braised beef cheek and pork (topped with meat gravy and herbs). 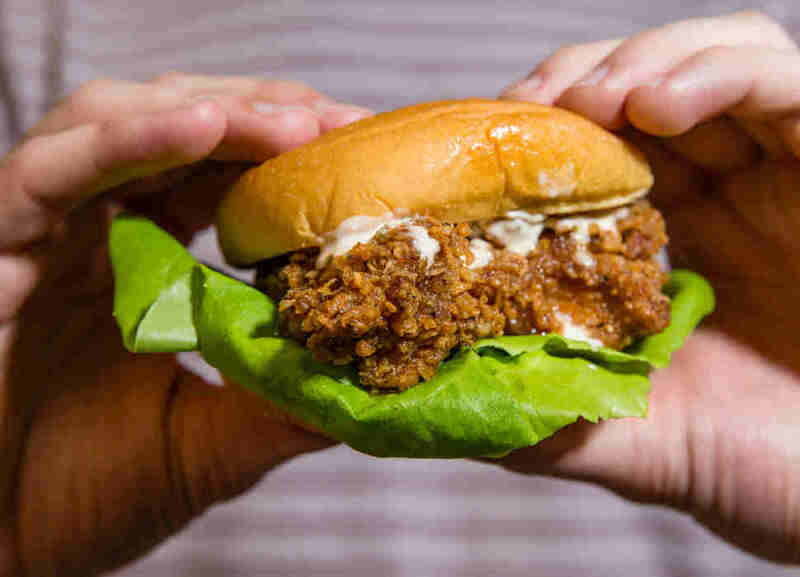 Gowanus’ beloved Wilma Jean brings comforting Southern food, like a crispy fried chicken sandwich with buttermilk dressing on a potato roll, fried chicken on a stick, and -- if that wasn't enough fried chicken already -- fried chicken scallion pancake sandwiches. 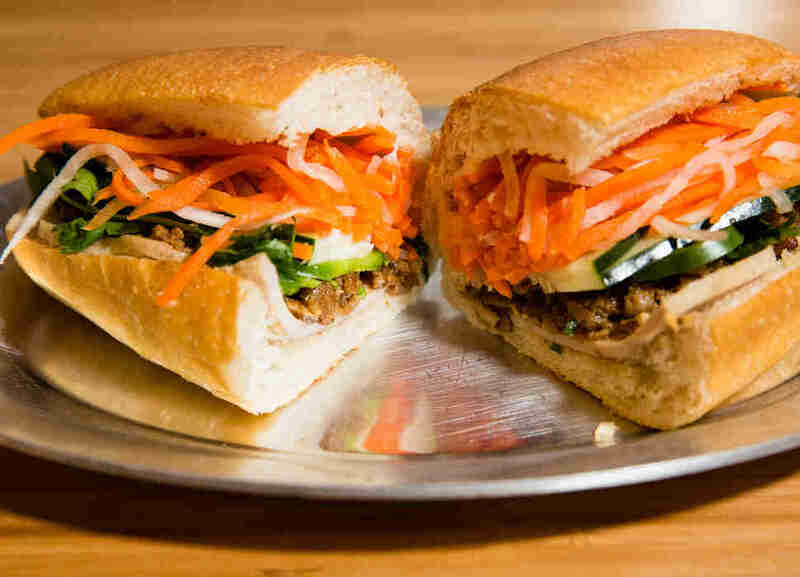 Chef Jimmy Tu’s Ridgewood-born (and now, Bushwick-based) Bunker is offering its famed Vietnamese street food-inspired fare, like loaded bánh mìs and pho. Lucy Meilus is Thrillist’s New York Editor and has always been like this, sorry. Follow her on Instagram and Twitter.